Over 32,700 Piper Cherokees have been manufactured between its introduction in 1960 and the end of production in 2011...……..
Over 32,700 Piper Cherokees have been manufactured between its introduction in 1960 and the end of production in 2011. 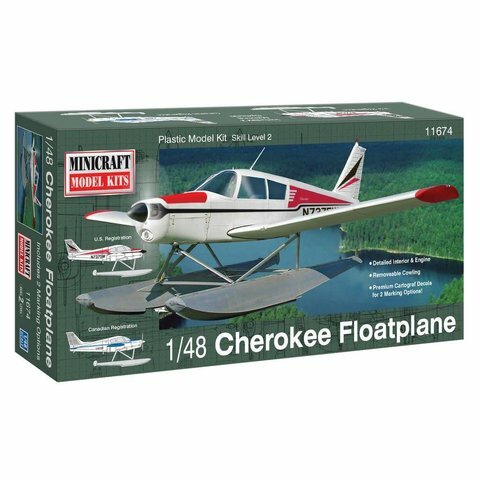 This private airplane is highly prized for excellent speed and performance at a moderate price. 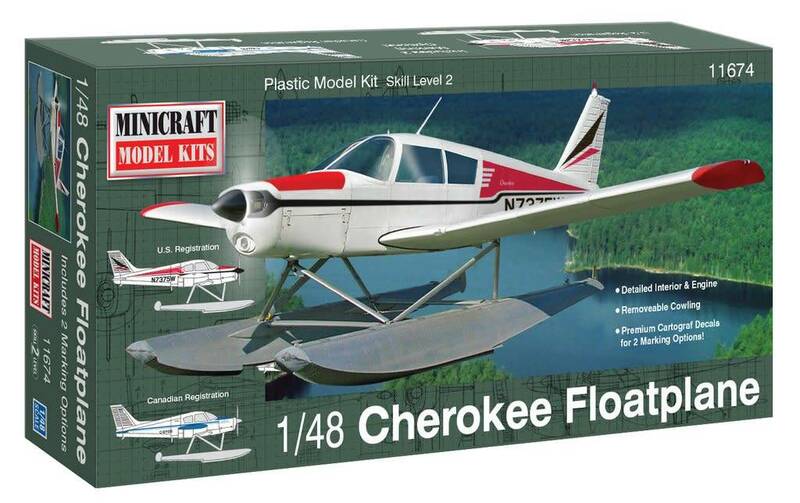 This model represents an owner customized version of the airplane adding floats for landing on water. Special float equipped aircraft are used for landing in remote undeveloped areas near lakes and waterways. Decals for Canadian and US registered aircraft.